How to Use Pinterest for Travel Planning | Dream.Pin.Go. 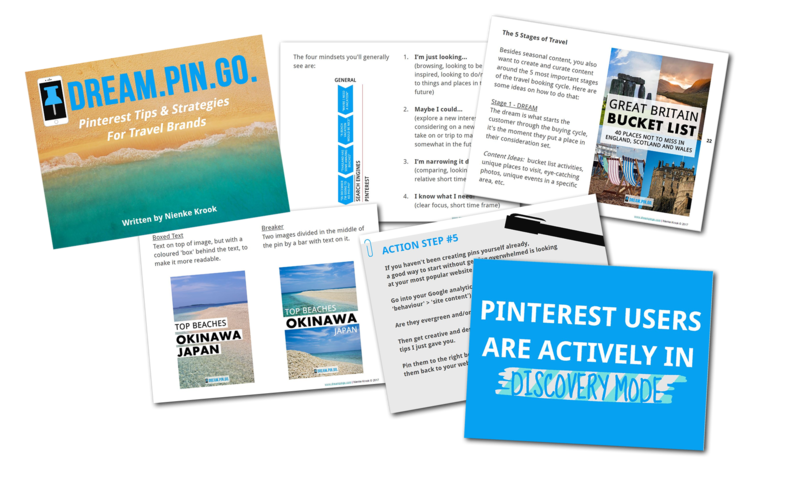 The following travel bloggers all understand the value of using Pinterest for travel planning. Read their quotes or click on their blog names to find their entire articles on this topic. Posted in blog, online travel, tourism marketingTagged travel bloggersBookmark the permalink. Hello travel bloggers! I just want to leave you a little motivation from the travel industry as a whole! Continue doing what you do bestThe travel industry knows and appreciates your industry work. Please keep in touch with STT as we are in a very difficult restart mode. The economy is really tough these days and terrorism is not helping the travel and tourism industry as i’m sure you are aware of. However we all have a responsibility, duty and important roles to promote the greatest industry in the world! Carry and soldier on!With Love Southfield Travel and Tours, Raynette Owens.